With the help of his firm, a Texas A&M environmental design former student lent energy saving building materials and expertise to the construction last year of an "Extreme Makeover Home Edition" residence for a family of 15 in Kemah, Texas. 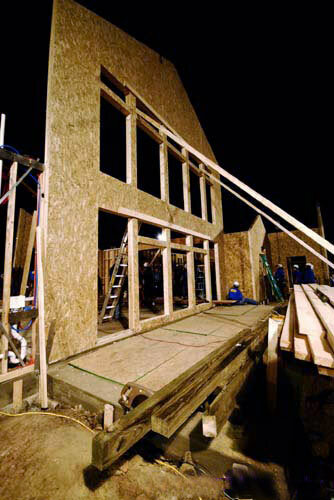 Allen Scarborough, who earned a Bachelor of Environmental Design degree from Texas A&M in 1989, is a sales representative for EH Systems, which donated structural insulated panels, or SIPS, for the home's frame. 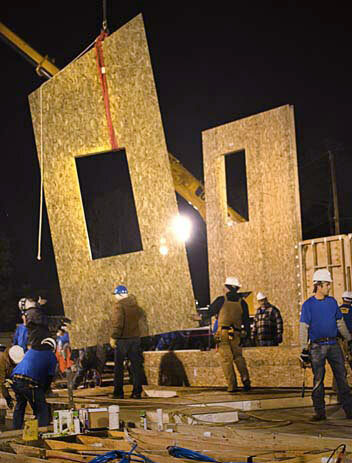 SIPs are composite building materials consisting of a sandwich made from two layers of structural board with an insulating layer of foam, and can be used in place of a conventional stick frame construction. 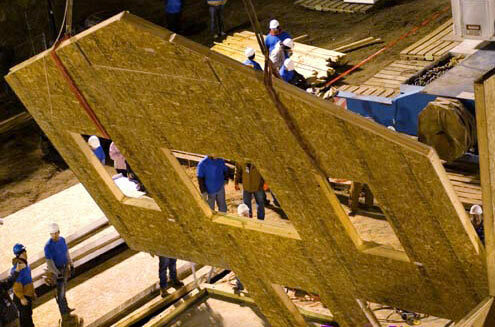 Used in residential, commercial, multifamily and civil applications, SIPS create a tighter building envelope than a conventional approach, creating higher insulating properties and reduced energy costs. "When I got out of school 20 years ago, we learned a lot about smart and sustainable design, but that's not what it was called back then," said Scarborough. He said the green revolution is about getting back to basics. "Things we've known all along, like being responsible, resourceful and to trying to reduce energy consumption," said Scarborough. "That's what my objective has been for the last four years I've been at EH Systems, to try to implement those things I learned at Texas A&M." 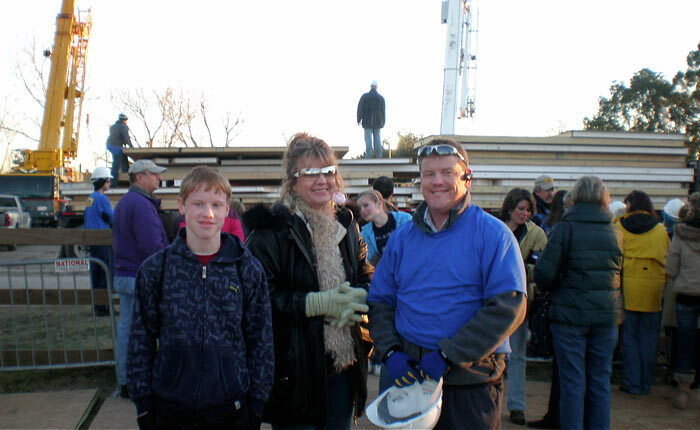 Scarborough and his fellow employees at EH Systems also donated their time and labor on the project, a 6,340 square-foot house with eight bedrooms and 4 ½ bathrooms for Larry and Melissa Beach, whose residence was destroyed by Hurricane Ike in 2008. After the hurricane, the Beaches were crammed in a travel trailer with their four biological children and nine adopted children. Larry and Melissa have raised 85 foster children since 1997, but had been unable to take on any new children since the hurricane without a larger, more permanent home.